If you are new to receiving food from the pantry, fill out the New User Application to get started. To receive food, fill out the Food Request Form. You will fill this out EACH TIME you receive food from the pantry. Need help with a professional outfit? Contact us today! Welcome to the Trojan Marketplace & Food Pantry! A recent survey of the UA Little Rock community found that more than 50 percent of our students and staff experience food insecurity, or know someone who is food insecure. In response to this need, the Trojan Marketplace & Food Pantry was established. 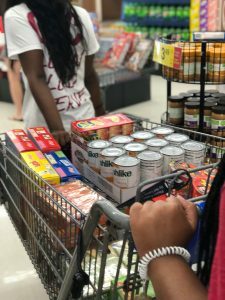 The UA Little Rock Trojan Food Pantry is open to all UA Little Rock students, faculty, and staff. A UA Little Rock ID is required. Participants will receive a three-day supply of food when they visit. Participants may visit one time per week. Closed when University is closed, or when students are not present, like spring break and Thanksgiving break. 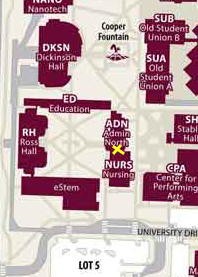 The food pantry is located at the Admin North Building (through the doors, down the hall, on the left).